The last minute field goal that I worried about would have been a better ending than what we Packers fans witnessed. That was hard to watch. Still, the Ticket King Milwaukee staff is answering the phones, buying and selling, and trying not to eat too many holiday sweets. It's hard to avoid the treats here, when there are so many cookies. Brett Favre, and the Vikings had a bad night as well. If you are a Vikings fan, you can still hold your head up high. We Green Bay Packers fans look forward to the Seahawks VS Packers game this Sunday at Lambeau Field. 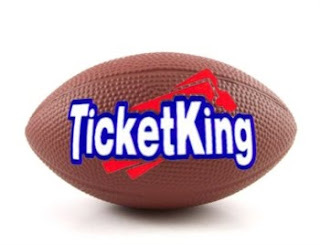 If you are heading up to the Packers game, keep in mind that we have Green Bay Packers tickets and parking just south of Lambeau Field, in our Ticket King Green Bay parking lot.